Visa Franchise supports families from around the world find the best franchise investments for their E-2, L-1, or EB-5 visa. To date, we have advised hundreds of clients from over 40 countries pursue their American Dream. As the Business Development Analyst for Visa Franchise, I have had the opportunity to meet with some of these clients as they shared their experience moving to the U.S. and using our services to other aspiring immigrant investors. Braner and Vanessa were great clients of ours from Brazil. Braner lived in the U.S. when he was in high school then went back to Brazil for work. They decided they wanted to move to the U.S. on an E-2 Visa because they saw opportunities in real estate, wanted to give their future children better education and security, and wanted to start their own business. When Vanessa and Braner spoke to their immigration attorney about the best way for them to move to the U.S., they recommended the E-2 visa as it was a faster process, smaller investment, and high approval rate relative to other investor visa options. Braner and Vanessa learned about Visa Franchise through one of our U.S. Immigration through Franchise Investment seminars in Brazil. Entering into an unfamiliar market, they were more comfortable investing in a franchise rather than starting a business from scratch, as a franchise would give them more support as a proven successful business model. They already owned several properties in the U.S., so their experience and drive to work made them great investors for a property management franchise. They have enjoyed their experience moving to the U.S., as it is easier to do business and the rules are clear with less bureaucracy relative to what they were used to. You can watch the video below on their American Story and more stories on Visa Franchise’s YouTube. Elizabeth Tran, the Business Development Analyst at Visa Franchise, supports the sales, marketing, and channel management efforts globally. Prior to working with Visa Franchise, she coordinated one of the largest charity modeling events in Florida that raised over $120,000 for Children’s Miracle Network Hospitals. 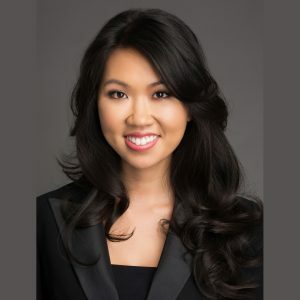 As a first-generation American of parents from Hong Kong and Vietnam, she relates to the American journey many of Visa Franchise’s clients embark on every month. She looks forward to working with clients pursue their American Dream much like her parents did before.